Talking about an affair isn’t easy. But defensiveness is. Couples therapy Researcher John Gottman tells us that Defensiveness is a very stubborn and robust human behavior. It is natural for involved partners to become closed off and defensive when confronted by an angry, hurt spouse. You may feel remorse, humiliation, and a sense that things are going to only get worse if you talk about it. Involved partners often express agitation and annoyance that the hurt partner hasn’t “gotten over” the affair. What the involved partner doesn’t realize is that resisting the hurt partner’s efforts to uncover details will only increase their anxiety and mistrust, and increase the likelihood of irrevocable damage to the relationship. Avoid the Issue. You don’t want to talk about it, but avoidance will only prolong the agony for both of you. Use this crisis to be more assertive. Tell the truth, and face into your partners hurt, pain and anger. Minimize and Deny. Some involved partners will only admit to what is indisputable, leaving the hurt partner in the dark about what they don’t know or can’t prove. If you want a divorce this is a good way to start. Stonewall. Gottman tells us that 85% of all stonewalling is done by men. It is a very gendered behavior, as most men tend to stonewall in varying degrees. Men typically avoid discomfort by leaving the scene of an unpleasant interaction. If this is your typical way of avoiding unpleasant conversations, tell your partner that you want to answer their questions, and it is sometimes hard for you to do that. Hang in there, and do your best, for as long as you can. If you are dealing with a hurt partner who is attacking you every time you trying to answer their questions in good faith, don’t allow your remorse or humiliation to get in the way of pointing out that their rage is making your ability to be open and forthcoming more difficult. A therapist can help a couple navigate through these difficult discussions. The good news is that science tells us the way a couple talks about the affair will often predictably change over time. But initially the hurt partner may be quite adversarial, and the involved partner may feel like they were caught up in a Spanish Inquisition. Perhaps your marriage was troubled before the affair, and this was a contributing factor to your decision to have an affair. Effective affair recovery will involve discussing these feelings openly and directly. A skilled couples therapist will make sure that the context of your marital troubles before the affair are carefully unpacked and discussed when the time is right. Affair recovery takes time. 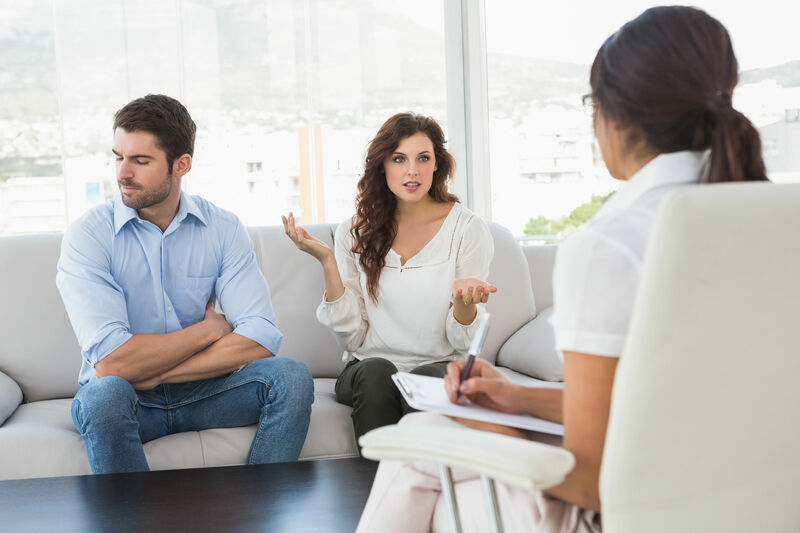 Couple therapy at this early stage focuses on helping the hurt partner to engage more calmly, while encouraging the involved partner to move toward a more complete transparency. In phase one, the hurt partner may spend as much as a year struggling with emotional overwhelm. Patient engagement with the hurt partner is the involved partner’s best approach at this point. Talking about the affair in the right way important, because it can lead to a greater understanding of contributing factors, and a sense of the best path forward. At some point, in phase two, a more benign process of information sharing will begin. The hurt partner will be calmer, and is gradually soothed by the involved partner’s openness, remorse, and acknowledgement of the pain inflicted. What was going on between us at that time that made us vulnerable? What individual vulnerabilities do either of us have require work and growth? What level of understanding and empathy can we reach for? What level of integrity will we both bring forward into this relationship? Previous Post How to Talk About the Affair Part One Next Post Infidelity and Divorce… What Does The Research Tell Us?